After a hot water heater fire put them out of commission, Lillie Q’s Wicker Park hub has risen again like a fiery phoenix (although, maybe it’s best not to mention fire). 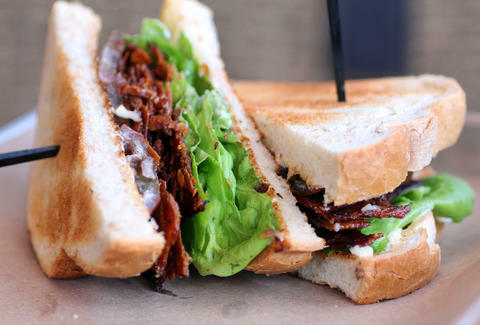 The meathook-laden, wood-grain interior has been fully restored to its former glory, providing the backdrop for you to fatten up once more on culinary creations like this smoked chicken skin BLT with Duke’s mayo on country white bread. 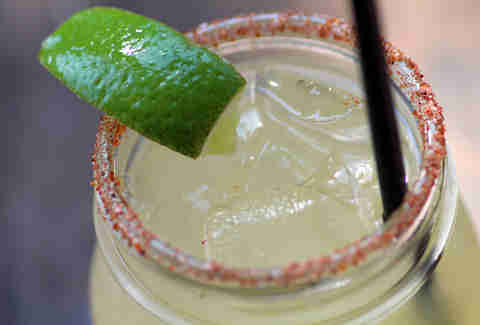 Their newest cocktail creation is this Q-Rita made with hopped whiskey, moonshine, triple sec, and a touch of smoky BBQ sauce. Tip back a mason jar rimmed with Carolina Dirt BBQ rub and know that you've finally found a classy way to back up those claims that you could drink BBQ sauce. Fear not -- nothing's changed with the smoked beef tri-tip on brioche kicked with BBQ rub-dusted fries. And, if you didn't get enough sauce in the cocktail, explore the six house sauces like Carolina, Hot Smoky, and Ivory (the Keyser Soze of the group), an Alabama-style white sauce with mayo, vinegar, and pepper that hits fries or chicken like a country ranch dressing. 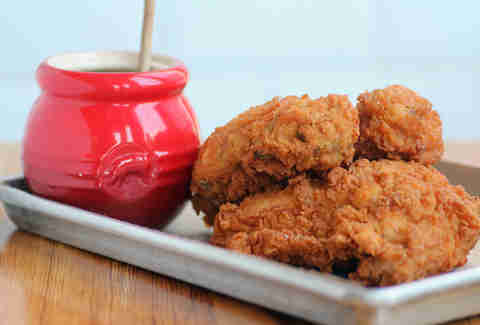 Should the smoked fried chicken with Tupelo honey render your hands a gross hot mess, check to make sure they weren't replaced with Amanda Bynes, then hit the handy foot-pedal sink in the dining room to rehabilitate your digits. 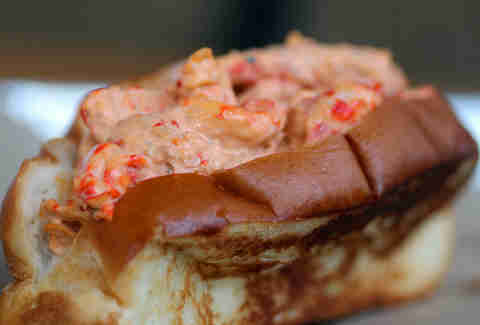 Crawfish (or crawdad if you’re from Deliverance territory) comes with tarragon mayo, red onion, and tomato on a buttery roll. 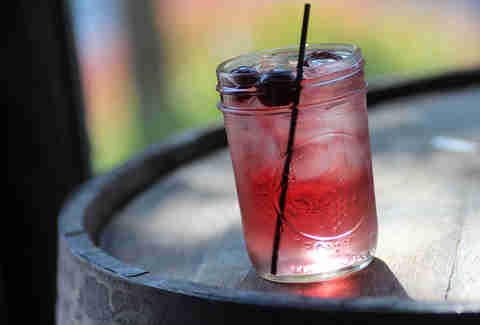 The moonshine cocktails are available in 80-, 90-, or 125-proof, like this Berries and Cream: blueberry-infused moonshine mixed with Roots cream soda on draft (along with 9 craft beers to boot). 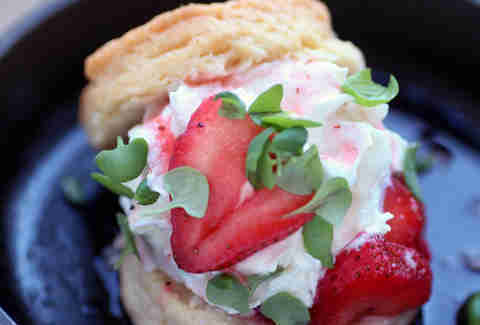 The shortcake has strawberries and whipped cream on a Southern biscuit -- yet another thing you'll have to burn off later. But again, maybe don't talk about that until after you've left.